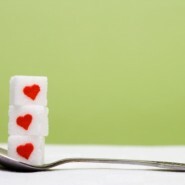 I think I might be slightly crazy, but I’ve decided that today – March 1st – is the day I will give up sugar. Apart from the inherent health benefits of reducing my intake of the delicious white stuff, I’m doing this because I want to exert control over my body, overrule desire with willpower, prove to myself I have an inner fortitude and strength – a lesson in self-discipline if you will. That said, I’m sure I’ll need some support, so I’m making this public so that I’m accountable. I have cavalierly referred to sugar as my friend in the past. It’s been a comfort food, picking me up in down times (until my blood sugar plummets following the initial high – and I either have some more, or have a sugar coma-induced nap). I’ve celebrated with it in good times; an accomplishment easily translated to a celebratory slice of cake or chocolate bar. I’ve used it as a meal supplement. Sadly, yes, a sweet thing satisfies and makes it easy to skip past a meal. Or, like many, I’ve used it as a reward for a meal consumed. I’m not alone in my thinking that based on childhood lessons, the only reason to finish your meal is so that you can get to dessert. I’ve used it as an energy boost, guzzled in various flavoured sportdrinks and sodas. I’ve used it to kickstart my day, carelessly stirring in loaded teaspoon after teaspoon into a morning tea or worse yet, supplementing an already sweet hot chocolate. Speaking of chocolate, this more than any other coated-sugar, has been responsible for my mass consumption. I’m already pining for my favourite candy – M&M’s (when will they ask me to be their spokesperson?!) – having symbolically eaten my last stash last night. I’m allowing myself some leniency. I will limit myself to the recommended daily intake of 40 grams of sugar — if only to force myself to read the labels of sport drinks and other things that I consume unknowingly packed with sugar. I’ve heard rumour of sugar-free people talking about how they don’t miss it, how the palette readjusts so that a return to sugar becomes sickly sweet, and how they have more energy as result (without stressing the body with all the highs and lows sugar can induce). Goodbye sugar. It’s been nice knowing you. We’ve had an loving relationship, but I’ve become a bit too co-dependent and I need to re-exert control. Have you had something you’ve successfully given up? Do you have any advice for me? As my wife’s Chinese herbalist said years ago, “the more you eat sweet things, the more you want sweet things.” having said that, the occasional stick of sugar free gum might help! Day Two and so far so good. I like the idea of rewarding myself with a non-food related experience! Bon voyage on your sugarless adventure Michael. You will be a pioneer. Do you think this same concept would work for me and french fries?